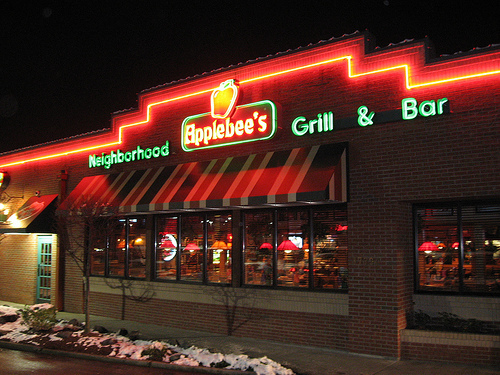 Applebee’s $30 Gift Card 6-Hour FLASH Giveaway!!! $30 Applebee’s Gift Card 6-Hour FLASH Giveaway!!! you back on Friday for another great FLASH giveaway! * NOTE: You can choose PayPal or Amazon GC instead of the Applebee’s GC if you are the WINNER!!! I am not sure what my favorite dish at Applebee’s is but I would have to go with their Shrimp and Parmeson Sirloin. Grilled Shrimp and Spinach salad!! Love!! I love the grilled shrimp. I love their happy hour the best. Spinach dip, tater skins, and wings. Yum! My favorite menu item at Applebees is the Fiesta Chicken Chopped Salad.